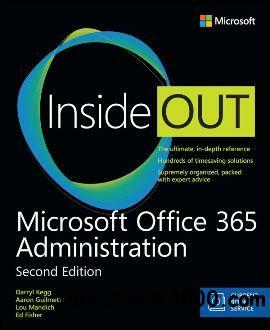 Conquer Microsoft Office 365 Administration-from the inside out! Dive into Microsoft Office 365 Administration-and really put your Office 365 expertise to work. This supremely organized reference packs hundreds of timesaving solutions, tips, and workarounds-all you need to plan, implement, and operate Microsoft Office 365 in any environment. In this completely revamped Second Edition, a new author team thoroughly reviews the administration tools and capabilities available in the latest versions of Microsoft Office 365, and also adds extensive new coverage of Azure cloud services and SharePoint. Discover how experts tackle today's essential tasks-and challenge yourself to new levels of mastery.